The new year means it’s time to update some of my favorite things in Vegas. With the Super Bowl and March Madness right around the corner I figured that I might as well start with a new edition of the Top 5 Sportsbooks In Las Vegas. These are MY favorites. Yours may differ but they’re wrong…at least for me. If you compare to last year’s Top 5 sportsbooks in Vegas you won’t see much change but you will notice some tweaks. 1. Lagasse’s Stadium (The Palazzo)- Last week I questioned whether or not Lagasse’s Stadium should even be considered a sportsbook. It’s really a restaurant with a bar and sportsbook but the more I think about it the more that I remember that Lagasse’s Stadium is the future of sportsbooks. Lagasse’s Stadium may be the greatest place in Vegas. It’s a great place to watch the games, snack, drink, play blackjack, play pool and more. Just don’t expect drink tickets. Those are only given with bets above $5,000 at the manager’s discretion. I can’t wait for all of the Cantor Gaming sportsbooks to turn all of their sportsbooks into restaurants. It will happen some day. 3. Wynn – I had a bad experience here a few years ago and held a grudge but after a recent stay at Encore I’ve come around to the sportsbook at Wynn. There is a lot of comfortable seating in between the race and sports sides of the book plus there’s a bar overlooking the sportsbook with about 50-75 more seats. The projection screens could use some updating while the TV’s for less important games could use more size and updating but they’re very easy to watch if you have a seat up close. If you’re just watching a major event like the Super Bowl this shouldn’t matter. 4. Bellagio – The Bellagio sportsbook isn’t very big but it’s nice and comfortable. This sportsbook had new TV’s installed this year and that helps. Bellagio is one of my favorite casinos in Las Vegas so I’m happy to see that things are improving on the sportsbook side. It’s another great excuse to visit. If you want a seat for the games here arrive early because the sportsbook is very small. 5. 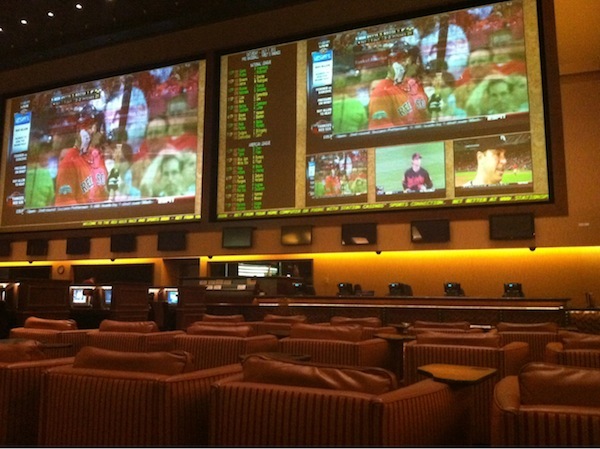 Red Rock Resort – The sportsbook at Red Rock Resort is huge. It’s definitely the sportsbook for locals since it’s about half hour away from the Vegas strip. During football season the Red Rock sportsbook is very busy almost to the point of where it’s not fun but it’s still great. If you like to drink while watching the games this is your place. Cocktail waitresses make rounds non-stop. I prefer the Red Rock sportsbook during NBA and MLB seasons because it’s a little slower and they show all of the games. Video poker players will be happy to find full pay Bonus Poker at the sportsbook bar. Honorable mention: Silverton. The Silverton sportsbook is small but it’s brand new will appropriately size TV screens. It’s not at a very busy casino but that usually means you can find a seat. If it’s busy, you can sit at a slot machine. A bar, Starbucks and Johnny Rockets are steps away if you need food or drink. Like all cantor gaming sportsbooks there’s free wifi and outlets for access to things not on TV. 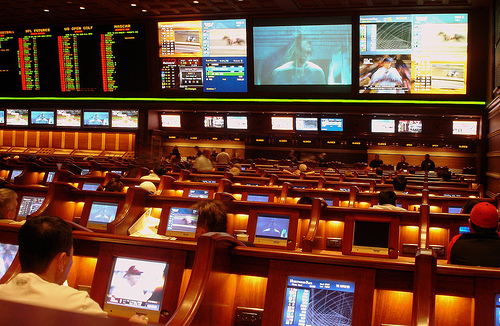 Cantor Gaming Adds Another Sportsbook In Las Vegas..Blah Blah Blah. Instead of writing about each addition I figure I’ll give a guide to each Cantor Gaming sportsbook and list highlights. Lagasse’s Stadium (Palazzo) – Restaurant, Bar, Stadium Seating, Mini Casino, Outdoor Billiards, Skyboxes. Easily the best sportsbook. Anywhere. 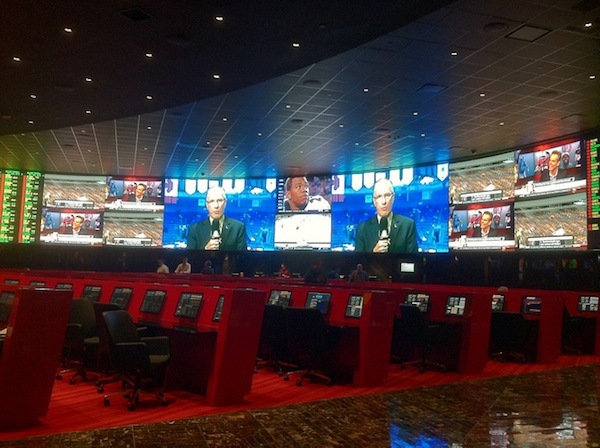 Venetian – Biggest and brightest sportsbook TV’s I’ve ever seen. A lot of room. Bar with video poker in back of book. Tropicana – Huge with ample seating. Feels like mission control. Can enter without going into casino via MGM Grand bridge. Cosmopolitan – This place is tiny and awkward. The only reason to go here is because it’s in Cosmo and close to Holsteins Burgers and Marquee. Palms – Small and crowded sportsbook that has an adjoining poker room. If you don’t mind the click clack of chips in the background, this is fine. Hard Rock – Small sportsbook that, besides football season, is never really crowded. Drink service is minimal so BYO. MResort – This is where is all began for Cantor Gaming. With all of the new sportsbooks, this sportsbook looks and feels old. It can use an update. Silverton – Silverton is considered a locals casino and is located between Mandalay Bay and M Resort. 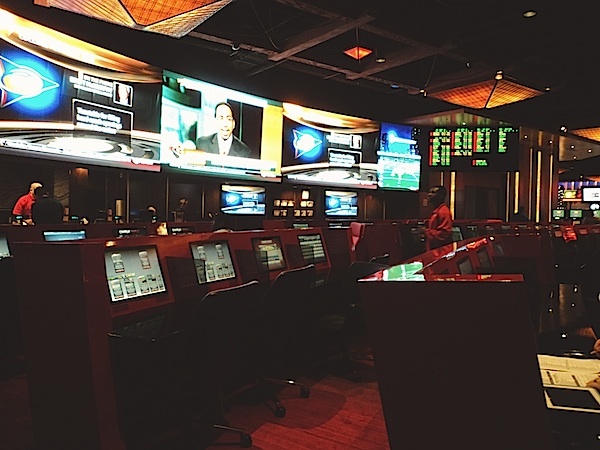 This sportsbook fits perfectly with the casino and is a sneaky great place to watch a game. There are upsides to Cantor Gaming sportsbooks, like the new, beautiful television screens and nifty technology, but you will not receive a comp drink unless you’re betting $10,000 per game, you won’t receive any casino comps and you’ll be lucky to see a cocktail waitress walk by to get you a drink. This list will be updated as Cantor Gaming adds more casinos.